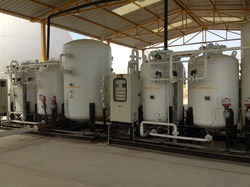 Purification of biogas by vacuum pressure swing adsorption was evaluated to produce fuel grade methane (FGM). Two different adsorbents were employed to evaluate the process performance with equilibrium- and kinetic-based adsorbents. Carbon molecular sieve 3K was employed as the example of a kinetic adsorbent because methane diffusion is extremely small. A five-step cycle configuration (feed, intermediate depressurization, blow down, purge, and pressurization) was employed to compare with results obtained with a four-step cycle without intermediate depressurization. The effect of different operating variables like step times and pressure conditions of the cycle was analyzed. 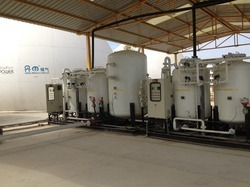 Looking for MPSA Biogas Purification Plant ?